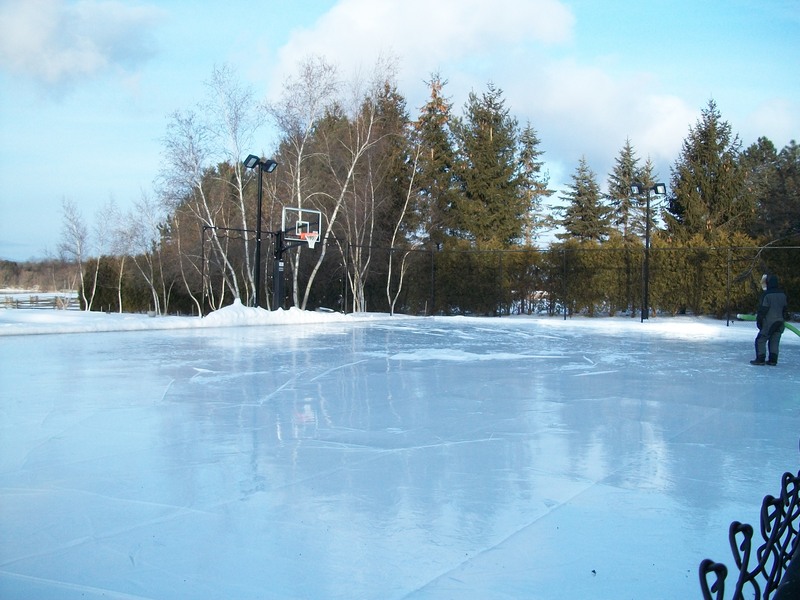 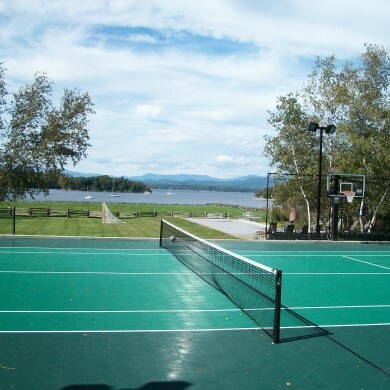 A tennis and basketball multi-sport court in Charlotte, VT. Made with an ice rink conversion. 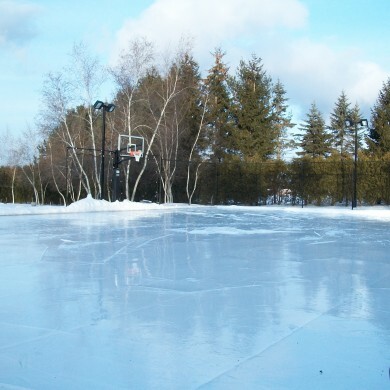 The Charlotte court converted to an ice rink. 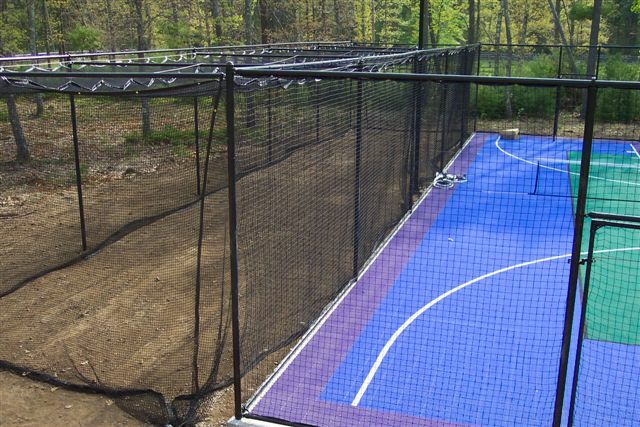 A Sport Court basketball surface half-court in South Burlington. 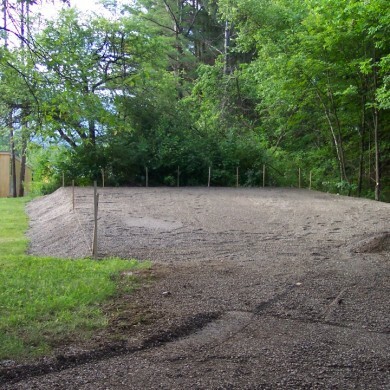 Before the Sport Court, Stowe, VT.
Building the concrete foundation, Stowe, VT. 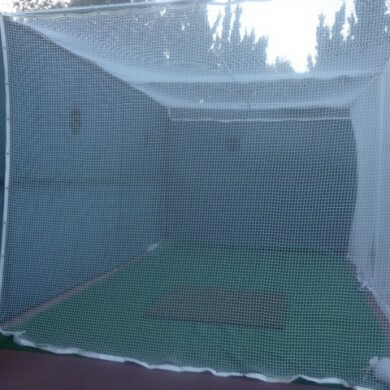 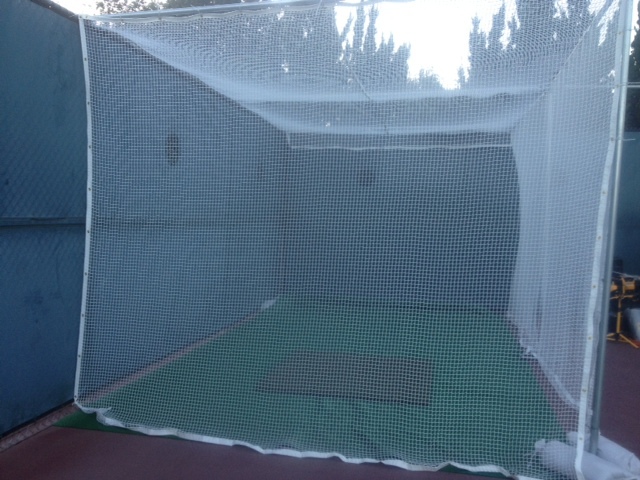 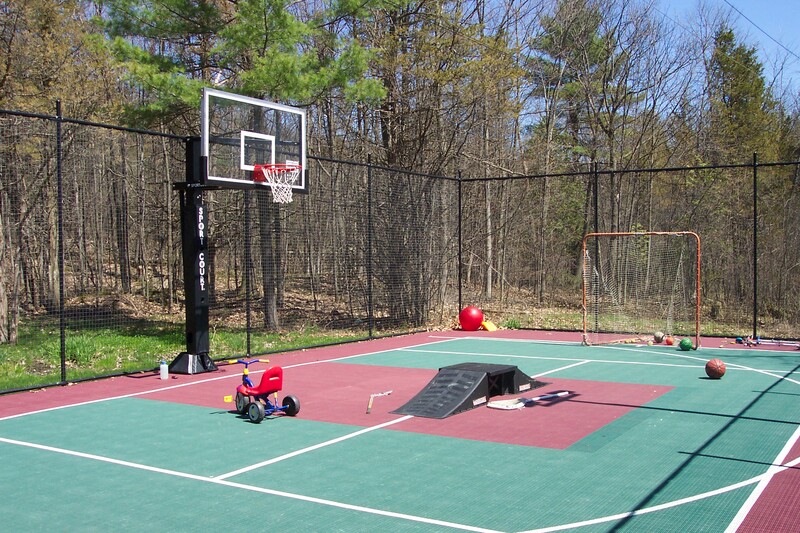 Sport Court half-court basketball court with tennis rebounder, Stowe, VT.
50 x 100 ft. 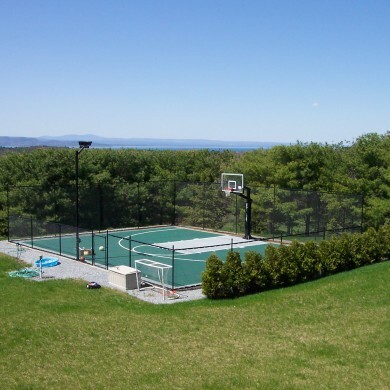 Sport Court tennis court/hockey rink/basketball court in Charlotte, VT. 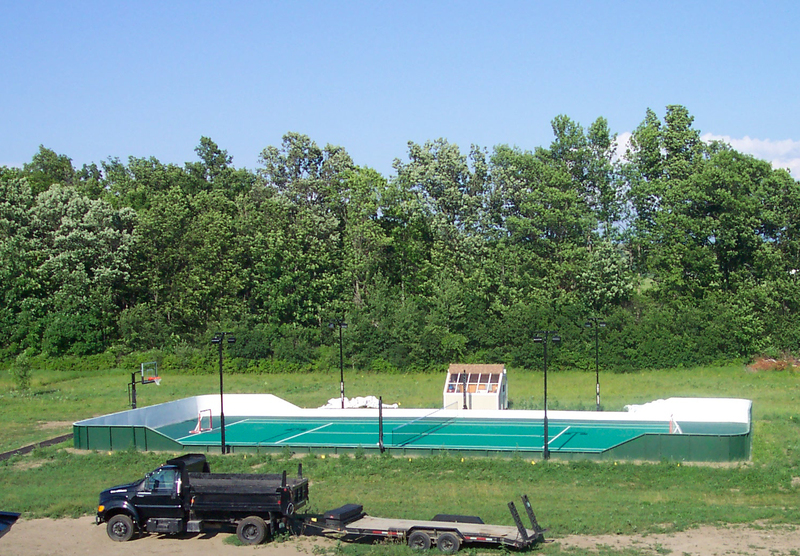 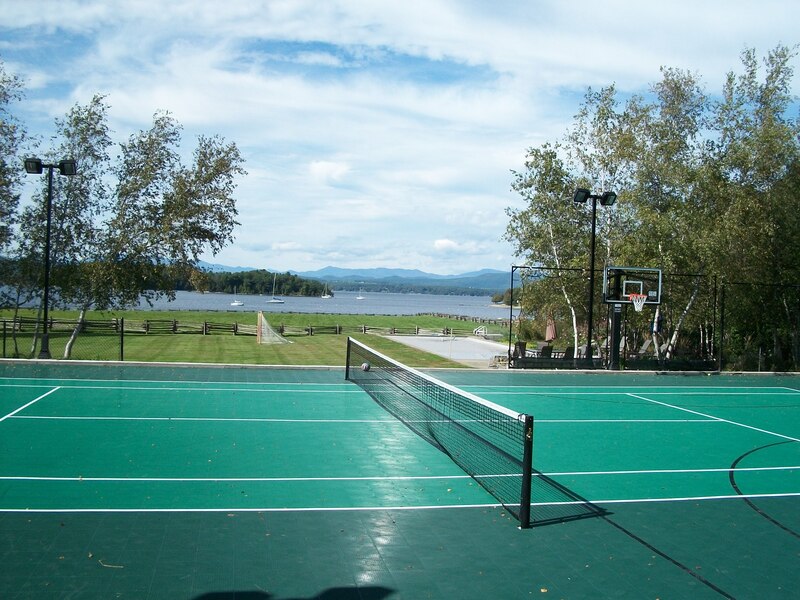 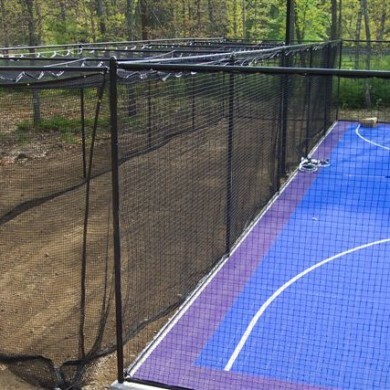 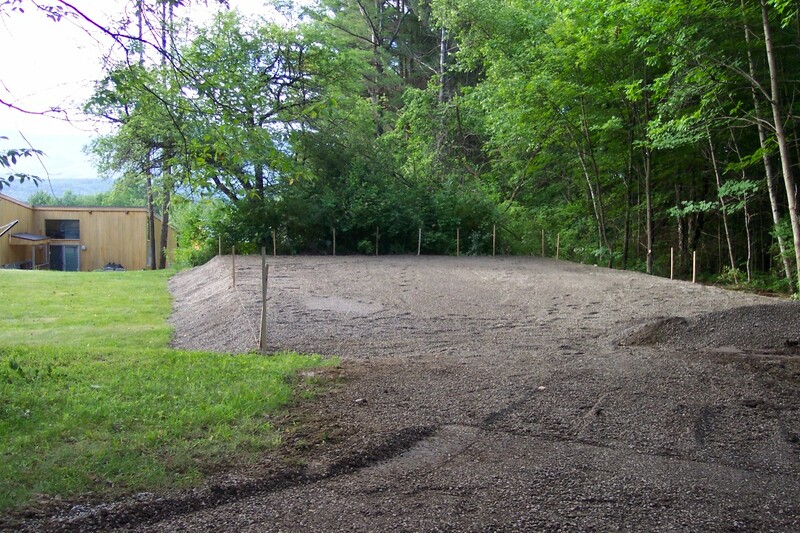 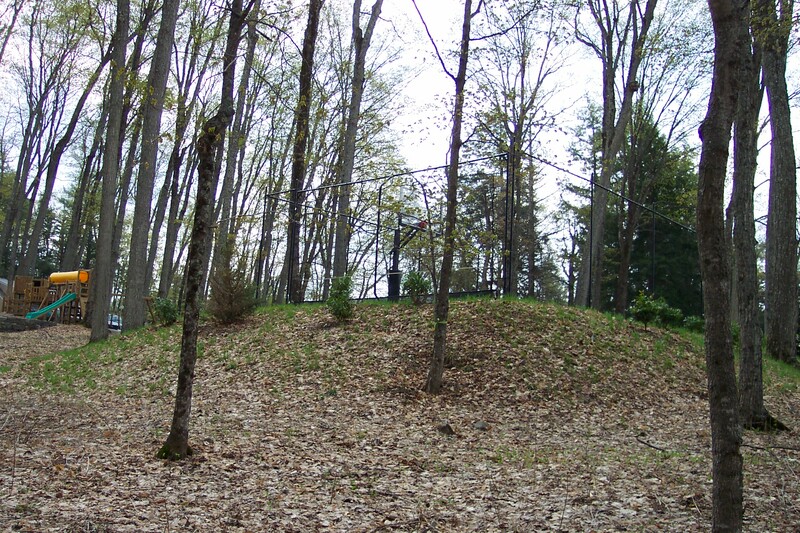 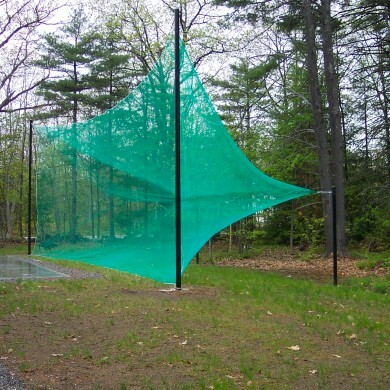 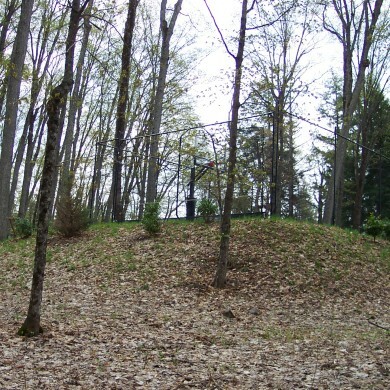 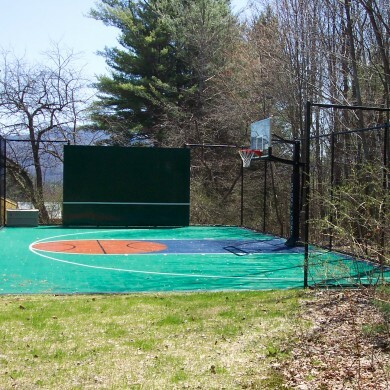 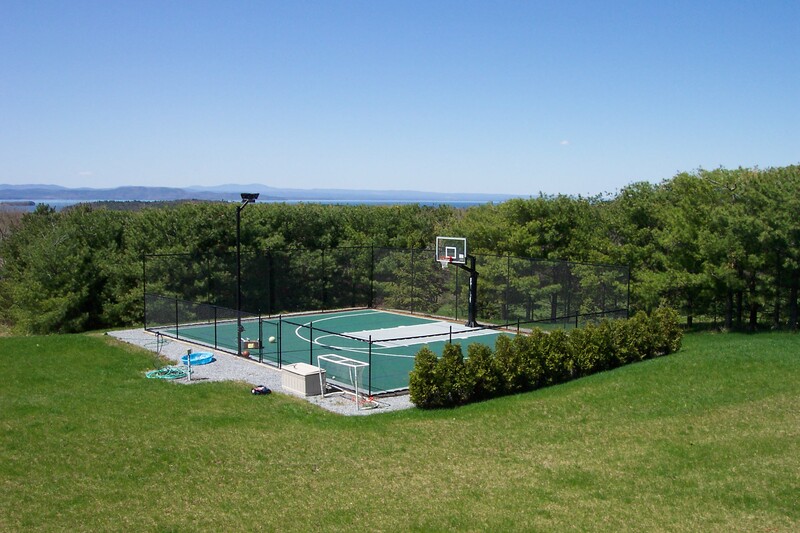 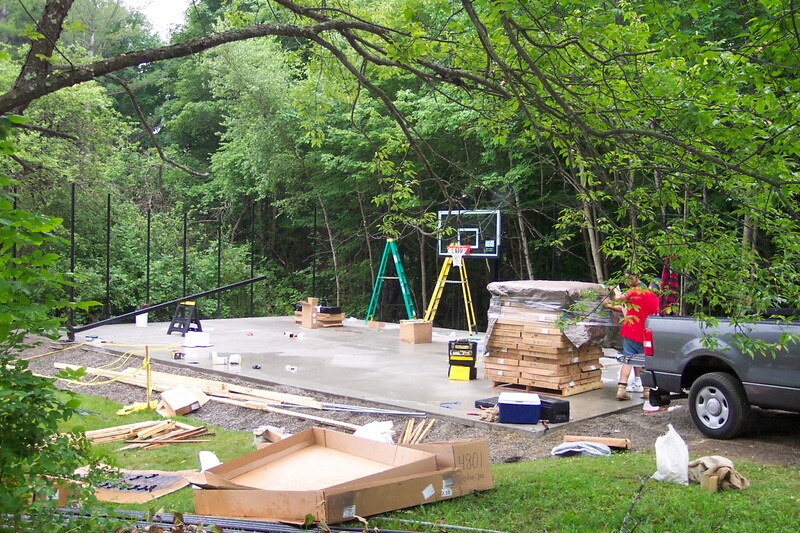 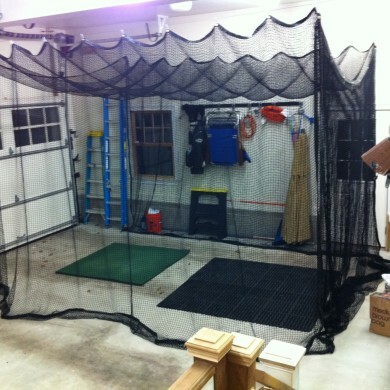 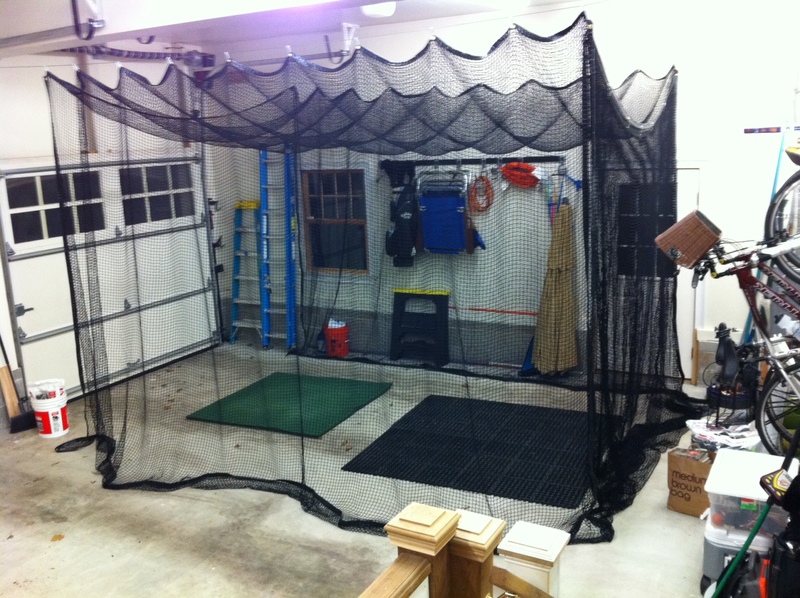 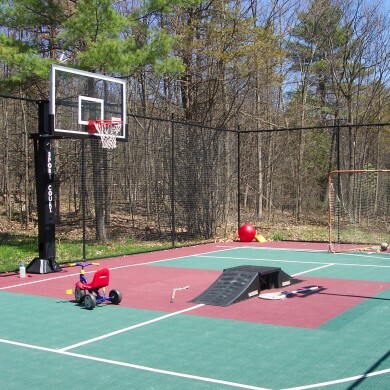 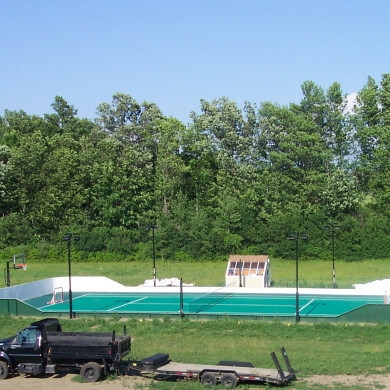 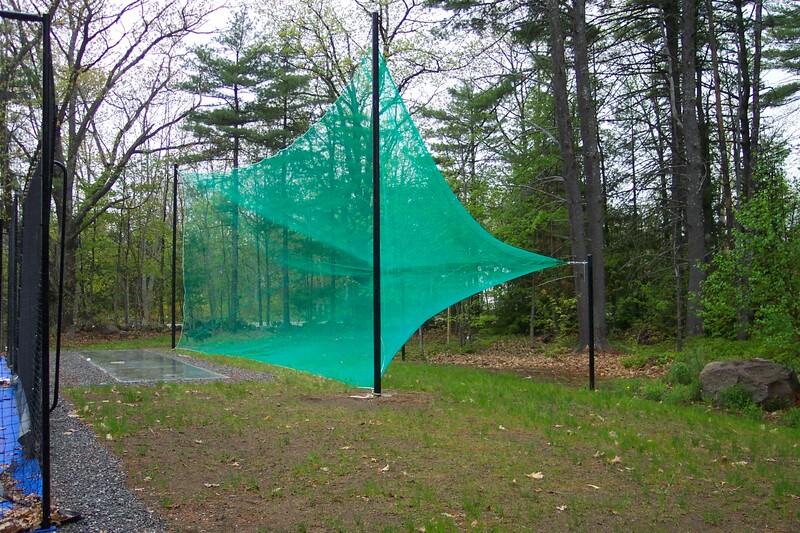 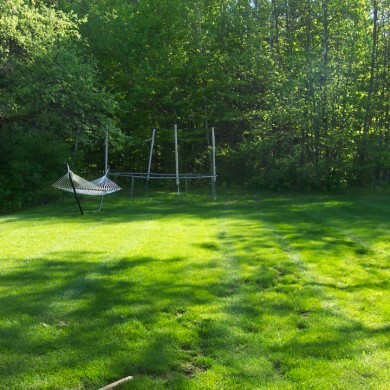 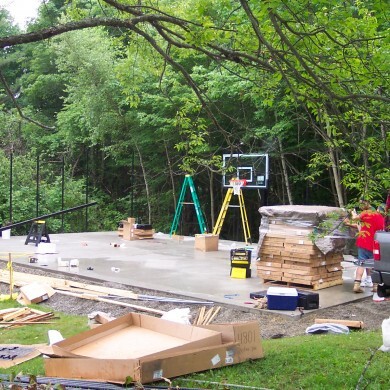 Sport Court of Vermont is able to blend and work within natural settings. 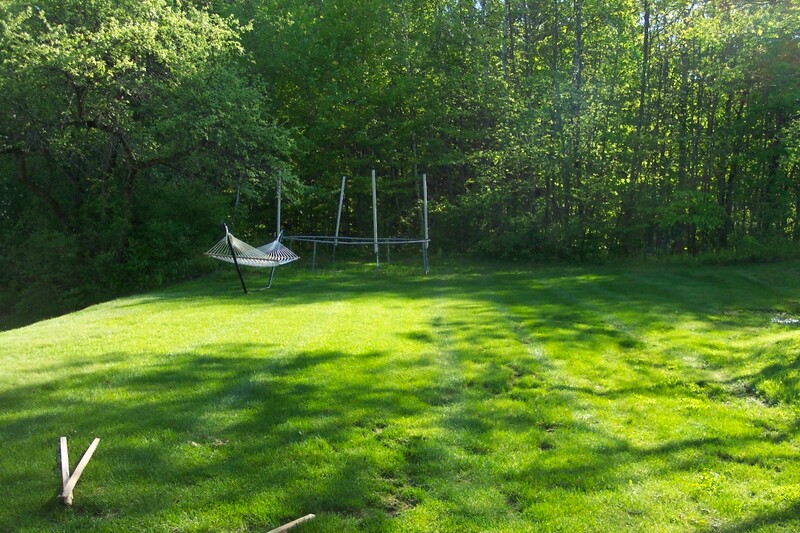 30 x 55 ft. 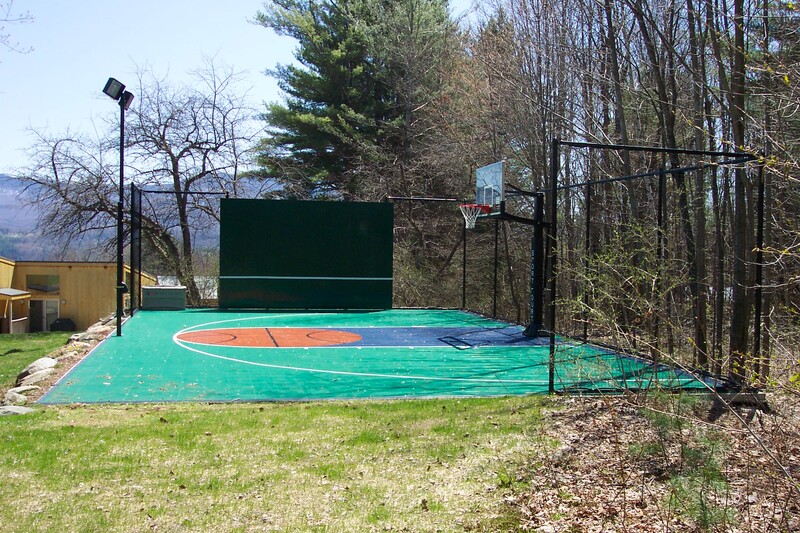 Sport Court basketball multi-sport court in Colchester, VT.